Customers of Jude’s Bathrooms get quality with incredible value and cost effectiveness. 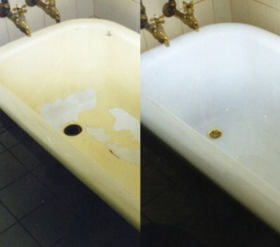 How would you like to give your bathroom a complete overhaul…without renovating? Until recently, giving your bathroom a fresh new look typically meant you had to renovate it. Bathroom Renovations are fantastic, however they can add up to be a costly exercise. Jude’s Bathrooms has a solution that can give your bathroom that fresh new look, quickly and without breaking the bank- Bathtub Remodeling. Rather than replacing old and damaged baths in your home, we can install a non-slip, scratch resistant liner that effectively sits inside the existing bathtub. Jude’s is a proud supplier and installer of Inner Bath bathtub liners. The Inner Bath range represents amazing value and a high quality finish, every time. The liner is customised to conform exactly to the size and shape of what’s there, so it’s a ‘tailored fit’, every time. The best part is that many of these bath systems can be installed in just one day. Meaning that your bathroom doesn’t have to be out of action for weeks or even days, depending on your home this work can be done in just hours! Saving you extra in labour time as well! Our technicians inspect your tub and record the measurements. An Inner Bath liner is fabricated to conform to the inside of the existing. The liner is fitted and sealed and the waste is connected. Often replacing fittings and fixtures will transform your bathroom, so if you’re looking to give your bathroom(s) a ‘touch up’, don’t wait any longer! We at Jude’s Bathrooms are here to help with any questions, estimates and costs related to bathroom remodeling – whatever it takes you give you a beautiful bathroom fast! 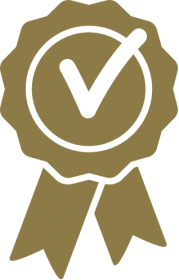 Just like Jude’s, Inner Bath is dedicated to full, high quality service, this supports our commitment to 100% customer satisfaction. Not only does the Inner Bath range come with 10 year manufacturers warranty but they also come with a LIFETIME workmanship warranty from us, so you can be sure about trusting Jude’s Bathrooms with your shower upgrade.